Does the BV profession suffer from ‘interservice rivalry’? On the plus side, people argue that competition among the BV credentialing organizations has led to more continuing professional education options and more published BV journals. On the negative side, it makes it hard to establish a public image for the BV profession, which leads to a lack of knowledge among the public, and creates skepticism in important subsets of the public, such as judges. Moreover, with competition among multiple credentials, there is the temptation for one credential to attract more members by watering down the requirements for entry. 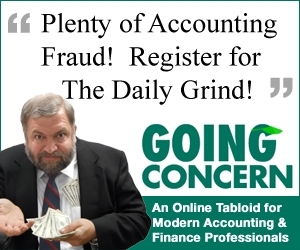 By analogy, he says, what if the auditing profession came with an Accredited Senior Auditor (ASA), an Accredited Public Accountant (APA), and even a Chartered Business Accountant (CBA), each with different levels of training and experience, and all boasting that their credential demonstrates superior knowledge of the profession? To confirm what really makes a good BV expert, “a two-year valuation experience minimum should be required to earn a credential,” Dragon believes, adding that the ASA “is on the right track to require significant valuation training.” Let us know your opinion. After the FASB received feedback on its proposed standards for testing goodwill impairment project, it added a new project on the impairment of intangible assets with indefinite lives, reports Michael Conn in Accounting Today. “The new project’s scope is to simplify the manner in which an entity tests other indefinite-lived intangible assets for impairment,” Conn reports. The FASB has not yet indicated when it will complete the new initiative or how it will fit into the ongoing goodwill impairment project. Under GAAP, impairment testing of non-goodwill indefinite-lived intangible assets is a one-step test similar to step one of goodwill impairment testing (i.e., compare fair value to carrying value). Given FASB’s recent approval of a qualitative option for step one of goodwill impairment testing, it appears that a likely outcome of the FASB’s new project will be a qualitative option for testing indefinite-lived intangible assets for impairment. Due to the relative comparability between testing indefinite-lived intangible assets and goodwill for impairment, it may not take long for this new FASB project to result in a proposed Accounting Standards Update for public comment. However, since indefinite-lived intangible assets can include varied assets, from brands to in-process research and development, it is possible that the FASB could develop asset-specific guidance. For example, under a qualitative option of impairment testing, testing a brand for impairment could vary considerably from the factors considered to test an in-process R&D asset for impairment. Long-established federal law prohibits the owners of FCC licenses from pledging the licenses themselves as collateral. Aware of these regulations, a mobile satellite provider granted its secured note holders an interest in all economic proceeds from the “sale, transfer, or other disposition” of their FCC licenses as well as any related “goodwill or other intangible rights.” After the company went bankrupt, the Sprint Nextel Corporation sued the debtors for the $104 million that it cost them to clear the satellite bandwidth that the debtors once owned. To satisfy its admittedly unsecured claim, Sprint sought to void or at least gain seniority over the secured note holders’ interest by filing various motions in the bankruptcy proceeding, essentially arguing that the note holders’ lien in the economic value of the licenses was invalid under the same law that precludes granting a collateral interest in FCC licenses themselves. An opportunity for bankruptcy valuation analysts? Despite some prior conflict among federal court and administrative rulings concerning an owner’s private interest in an FCC license versus the FCC’s public right to regulate its transfer, in this case, the court concluded that the note holders had a valid secured interest in the “economic value” associated with the debtors’ license, “even if they cannot hold a lien on the FCC license itself.” Read the entire digest of In re Terrestar Networks, Inc., 2011 WL 3654543 (Bkrtcy. S.D.N.Y.)(Aug. 19, 2011) in the October 2011 Business Valuation Library; the court’s complete opinion will be posted soon at BVLaw. According to BVR’s 2011/2012 BV Firm Economics and Best Practices Guide, the ABV credential ranked second (only behind the CPA) as the most common certification in the business valuation profession. Due to the continued rapid growth in the BV and forensic accounting specialty niches, the AICPA’s Forensic and Valuation Services Section encourages CPAs to earn the Accredited in Business Valuation (ABV) and Certified in Financial Forensics (CFF) Credentials. Distinguish your CPA practice with the powerful combination of an ABV or CFF Credential. Registration closes Nov. 1: this will be your last chance to sit for the ABV Exam or the CFF Exam in 2011. Is the IRS ‘overcritical’ of data sources in its DLOM Aid? Have you downloaded the Job Aid yet? If not, you can still join the nearly 590 analysts, attorneys, and other visitors who downloaded the Discount for Lack of Marketability Job Aid for IRS Valuation Professionals at BVResources during the month of August. Or try the next most popular (and *free*) downloads: “Goodwill Hunting in Divorce,” a state-by-state summary on the distinction that courts make between enterprise and professional goodwill in divorce (recently updated to include the latest decision); and “Examples of Factors Implementing Personal Goodwill in Cases,” a checklist by James Alerding (Clifton Gunderson) and Andrew Soshnick, Esq. M&A activity in the U.S. increased 8% in the first half of 2011 compared with the same period in 2010, reports Ari Goldschneider (Grant Thornton) in Dealmaker (Summer 2011). Activity from financial buyers accounts for 40% of overall growth in M&A activity. “Finding a willing financial buyer is becoming more feasible as funds keep chipping away at their large quantities of uninvested capital and the debt market for sponsor-based deals remains stable,” says Goldschneider. Valuing a software company? BVR has just added “Software Firms: Update on Industry Information” as a free download here. While the class is centered around intrinsic valuation (or discounted cash flow valuation, if you prefer to use its applied form), … I am a firm believer that intrinsic value matters….Consequently, you will hear me talk a lot about the limitations of discounted cash flow valuation and what I see as its dark side. In addition, a significant portion of the class is devoted to multiples and comparables (what I term relative valuation), since it is the dominant approach used by analysts to value companies. I do also bring in the role that option pricing has played in valuation, in the form of real options. Thus, I try to make this class as broad as possible in terms of approaches covered and businesses valued. My objective is that you should be able to value any asset or business, using any approach, and from any perspective (investor, acquirer, appraiser), by the end of this class. The article mentioned in last week’s BVWire—currently titled, “The ‘Risky’ Risk-Free Rate: Does the Downgrade of U.S. Sovereign Debt Change Commonly-Used Valuation Approaches?” by Houlihan Lokey professionals is now posted on the HL website. NACVA, under the auspices of its international arm, the International Association of Consultants, Valuators and Analysts (IACVA), will be administering a CVA test in Accra, Ghana in November, creating possibly the first instance of BV testing on that continent. Ghana is a natural location because it adoption IFRS early and many of its accountants have actively reached out for international business valuation training. Bennet Kpentey (Sync Consult Ltd.) is the current president of the Ghana Charter of IACVA. The examination follows the teaching last month of NACVA’s intangible asset valuation class by Jim Catty (Corporate Valuation Services Ltd.). Catty, the chair of IACVA, reports that 50 financial professionals attended his session. John Paglia (Pepperdine University) is conducting a research survey on “privately held companies and the markets in which they raise capital.” Your individual responses will be kept confidential, and by participating in the survey you will receive a complimentary report on business financing and private capital markets in advance of general distribution. Complete the survey here by Friday, September 16th. Thursday, September 15th, Valuing Sports Franchises, with Drew Dorweiler. In the latest installment of BVR’s Industry Spotlight Series, Dorweiler reveals the hidden side of sports franchise valuation, from engagement opportunities to assessing the intangibles of a franchise. Tuesday, September 20th, Analysis of the Intangible Drives of Company Value, with Mary Adams. Intangible asset values continue to grow more complex in the current knowledge-based economy, and in this 75-minute webinar, Adams presents a framework for valuing these important and sometime elusive drivers of value. Tuesday, September 27th, Personal/Professional v. Practice Goodwill in Medical Practice Valuations, with Mark Dietrich. BVR’s Online Symposium on Healthcare Valuation continues with its co-curator, Dietrich, covering the nuanced assessment and allocation of goodwill in medical practices.